The border effect, or the border tax effect, is a very real. 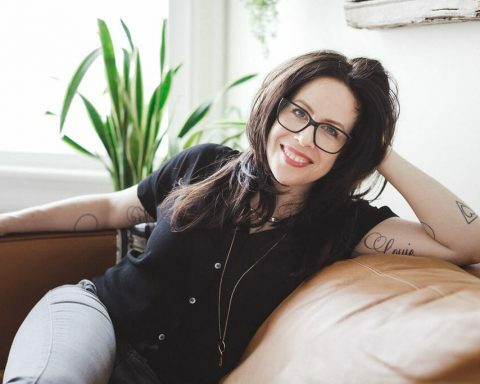 Our office has previously written about it regarding sin/vice taxes, retail sales in the Gorge, and a broader look at Oregon-Washington taxes, including an academic paper I, along with my co-author Portland State Prof. Wooster, wrote on retail sales in Washington. So it comes as no surprise that the different timing of legalized marijuana sales in Washington first and now Oregon also shows a clear border effect. Our friends and counterparts in Washington — the Washington State Economic and Revenue Forecast Council — is currently finalizing their latest forecast and included the following graph in their meeting materials. It highlights the drop in cannabis sales in Clark County (Vancouver) relative to the overall statewide trends. 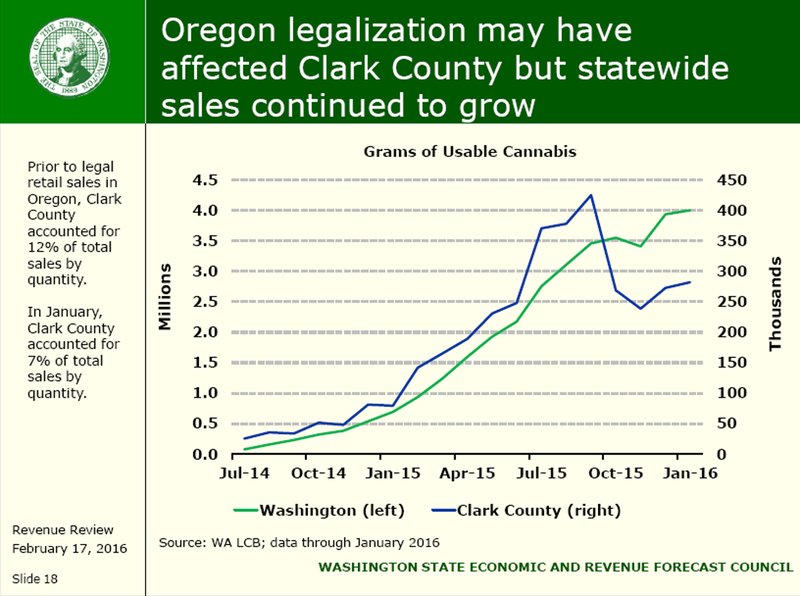 The steep drop in Clark County occurred in October 2015, right as recreational sales in Oregon went into effect. As the fine print on the slide says, prior to Oregon sales, Clark County accounted for 12% of Washington sales, but in January Clark County was just 7% of statewide sales. The graph brought to mind some very rough, preliminary work I did back in September regarding the border effect on Washington cannabis sales. 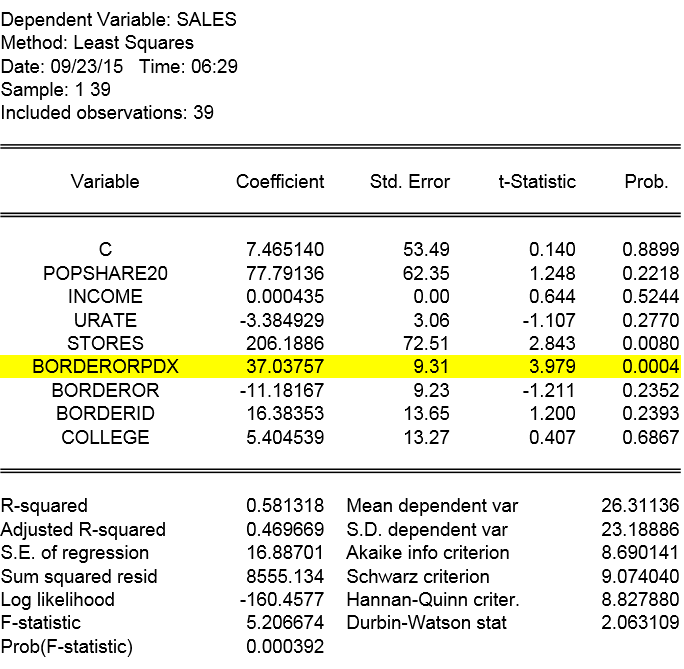 With the help of our counterparts, I threw county level sales data into a classic border tax effect model. The overall results were intuitive and make sense . Washington border counties near Portland had a much higher level of sales than their demographic and economic fundamentals along would suggest. If you do the math, this quick and dirty estimate indicates that sales per adult in these border counties were 40-50% higher than otherwise expected. In reality, it turns out those were pretty decent estimates. 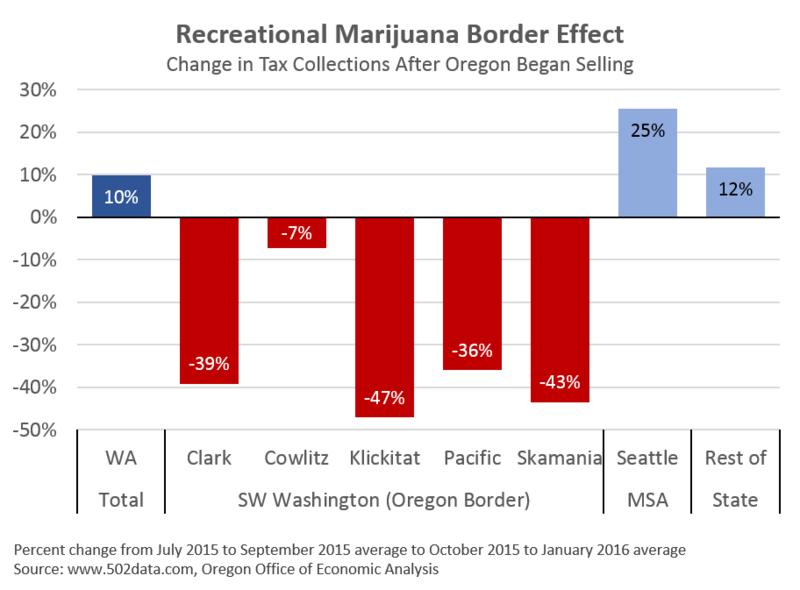 In the months since Oregon recreational sales began, tax collections in the Washington border counties in and around Portland have fallen 35% (data here). These declines are seen in counties from the mouth of the Columbia River (Pacific County across from Astoria) through the Portland MSA and into into the Columbia River Gorge (Klickitat and Skamania Counties across from Cascade Locks, Hood River and The Dalles). At the same time, sales in the Seattle MSA are up 25%, with the rest of Washington increasing 12%. The border counties near Portland are the clear outlier and clearly impacted by the arrival of recreational marijuana sales in Oregon. Overall these results are no surprise. The border effect is real and ongoing across the country. Oregon and Washington in particular provide such a natural experiment regarding tax policy and the fact that Oregon’s major population center is on the state border. So far the border effect has been about where legal recreational sales have occurred. 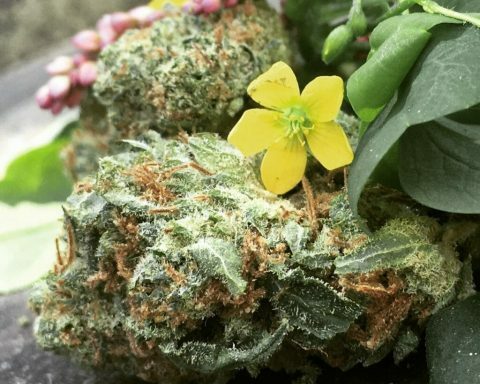 Now that both states allow for legalized sales, the research focus will shift to the actual impact of different tax rates on consumer behavior. Clearly, sales in Southwest Washington are lower post-Oregon sales, but depending upon product availability and consumer prices, how the balance of sales shakes out is still unknown. Oregon tax collections only began in January, so it will still be some time before we have enough data to draw solid conclusions. There are some issues with this simplified model. For one, it uses full FY2015 data. Given that sales were/are ramping up over time in a newly legalized world, it is not ideal to use a full year of data, or at least not until the phase in period is over. Also, it does not include any spatial impacts (spatial error correction or spatial autocorrelation) which is important when looking at county level sales, particularly given there are some “dry” counties where there are no retailers in Washington. 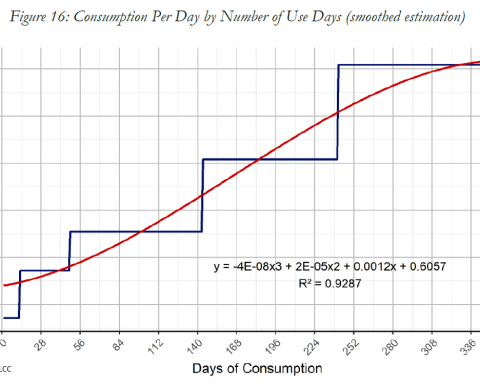 Even so, the results of this basic model are both intuitive and provided pretty solid ballpark estimates.